I have been running Jo Jingles classes since 2016. After having my children, Chloe and Kaiden, I left my job in the City in search of a job that fitted around a busy family life and having attended Jo Jingles classes with my children, I knew I had found my calling when the chance to join Jo Jingles came up. Since then, I have never looked back. I had never enjoyed my work previously like I do Jingling and I am so lucky to be able to share the music, fun and laughter with my Jinglers. Watching the children develop during their early years when they change so quickly and the advances they make are huge, is so rewarding and to play even the smallest part in this, is really something special. 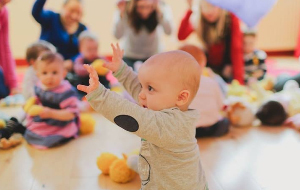 In 2019, Natalie joined me and between us we run several classes on a weekly basis in Billericay, Brentwood and Basildon as well as in local Nurseries. Florence has been going to Jo Jingles at Noak Bridge for just over a year, from the first session I knew it was the perfect group for us. Florence has been going to Jo Jingles at Noak Bridge for just over a year, from the first session I knew it was the perfect group for us. Very relaxed yet structured, Alex is so welcoming, and fantastic at including all the children. Florence has a life limiting condition and not once were we ever made to feel it was a problem. 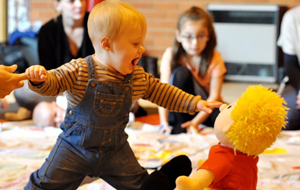 Every half term there's a different fun theme, shown through music and movement. Can't recommend Alex and this group enough, we will really miss going. Thank you so much Alex for your excellent classes over the last 3 years. Darcie and Danny certainly enjoyed them. Would highly recommend Alex, such a lovely lady who is great with children. The classes are varied each week with the theme/instruments and great for encouraging the child's confidence. Many thanks again. 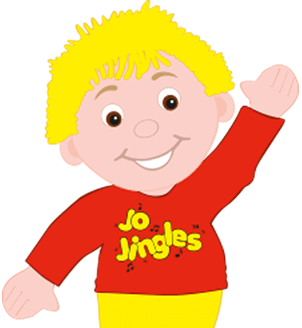 Just want to say a big thank you for welcoming Nirav to Jo Jingles. He was a very shy boy when we started and has really come out of himself since starting Jo Jingles and that's down to your wonderful personality and encouragement to participate in the classes. We will truly miss our weekly sessions! Thank you so much for having us! We both really enjoyed the classes and I honestly feel that Olivia got so much from them and learned so much. Most of her “firsts” happened at jo jingles and I think it’s where her love of music comes from. We’ll both miss it so much. I’m not sure who loved it more, her or me!! it was definitely our favourite class. Freya and I have attended Jo Jingles for over a year and it has been great fun. Freya often asks "Is it Jo Jingles today?" 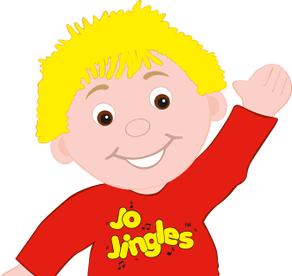 Freya and I have attended Jo Jingles for over a year and it has been great fun. Freya often asks "Is it Jo Jingles today?" and really looks forward to it. We are really sad to be leaving as I am returning to work, but would like to say a huge thanks to Alex for all her hard work and enthusiasm. It has been a real pleasure to attend her classes. if you are looking for somewhere fun and musical to take your little one, i would really recommend Alex's class. Thank you so much for all your hard work today at Sophia's party. You were brilliant and the kids loved it! Thank you so much for all your hard work today at Sophia's party. You were brilliant and the kids loved it! 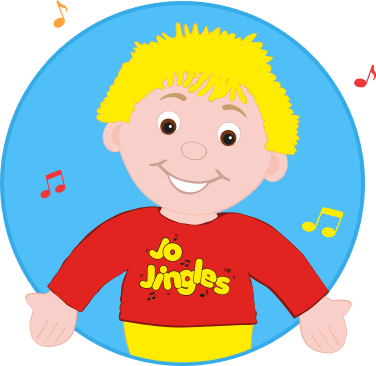 I've had lots of texts from the mum's this afternoon saying how much they all enjoyed Jo Jingles. Thanks also for doing a teddy bear parachute (Sophia absolutely loved it) and for Sophia's gift. She hasn't stopped playing the CD all afternoon. Sorry I didn't get to say goodbye but we will see you a week on Friday. Thanks so much for your fantastic classes! Rafi has loved them so much. I am more than happy to recommend you and Jo Jingles to anyone. Thanks so much for your fantastic classes! Rafi has loved them so much. I am more than happy to recommend you and Jo Jingles to anyone - it honestly has been the best Pre-school class I have attended with my sons! Little Josie and I have thoroughly enjoyed Alex's Jo Jingles class. Little Josie and I have thoroughly enjoyed Alex's Jo Jingles class. Unfortunately my maternity leave has come to an end so I can no longer attend but we have come away with lots of lovely memories of fun filled sessions. Alex provides a very welcoming and friendly environment and really interacts with all the babies. I would highly recommend this class! I've been going to the Barleylands class for about 6 months and my little boy absolutely loves it, loves Jo, loves Alex! Took my 8 month old son today for the first time and he absolutely loved it. Took my 8 month old son today for the first time and he absolutely loved it. He loved meeting Jo himself and all the singing and was keen to get involved. Lovely session for you and your bubbas.